128 Plumbing and Heating, Inc.
Subzero Heating and Air Conditioning, Inc.
Law Plumbing and Heating, Inc. Comment: Studio apartment, 350 square feet, insulated basement, walls and ceiling. Currently has baseboard electric heat. We want a reliable mini split single zone to provide heat and cooling. The baseboard heat will stay to supplement the mini split in the winter when temperature is in single digits or lower. 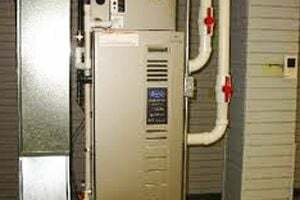 In addition, expect mass save rebate, want contractor to assist with obtaining the rebate, make certain equipment and installation meet requirements. Comment: Have a high efficiency Ray 200i cast iron boiler. Getting error message "water flow". Not getting any heat in house. Comment: One of the vents on the second floor seems to only blow cold air, even when the heat is on. The vents in the other bedroom and bathrooms on the second floor blow hot air, so there may be a specific issue with this duct. The thermostat on the second floor also shows a rain drop icon on it, instead of saying HEAT as the one on the first floor shows. Atlantic Heating & Air Conditioning Company, Inc.
Watertown Heating & Furnace Contractors are rated 4.68 out of 5 based on 2,922 reviews of 49 pros. Not Looking for Heating & Furnace Systems Contractors in Watertown, MA?